This meaty recipe has replaced our Very Venison dry food. There just isn't enough high quality fresh venison meat available to make the quantities that your dogs have been demanding. So due to this shortage we have been back in the kitchen whipping up a new game recipe to delight your dogs once more. We only use freshly prepared meat in our dry foods - not ‘dried meat’ or meat meals (i.e. carcass). 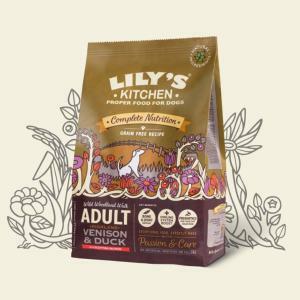 Our unmatched, biologically appropriate, wholesome food doesn’t contain any fillers, artificial additives or rendered meat meals, just 100% natural ingredients of the highest quality.